Disclosure: I received a Ferrum Styler for review purposes. All opinions are honest and are my own. I’m a low-maintenance kind of girl. I’m not afraid to leave the house without make-up on. I’m not a slob; I’m just confident in who I am. But being low-maintenance doesn’t mean I don’t like to get all dolled up on occasion–yes, even sometimes just to go to the grocery store. On those occasions when I’m able to rid my bathroom of that ever mischievous, and ever present, little human known as Little Z, I even like to straighten my hair. Because I take pride in not having to spend much time primping and prepping it is important to me to have a straightening iron that doesn’t damage hair. 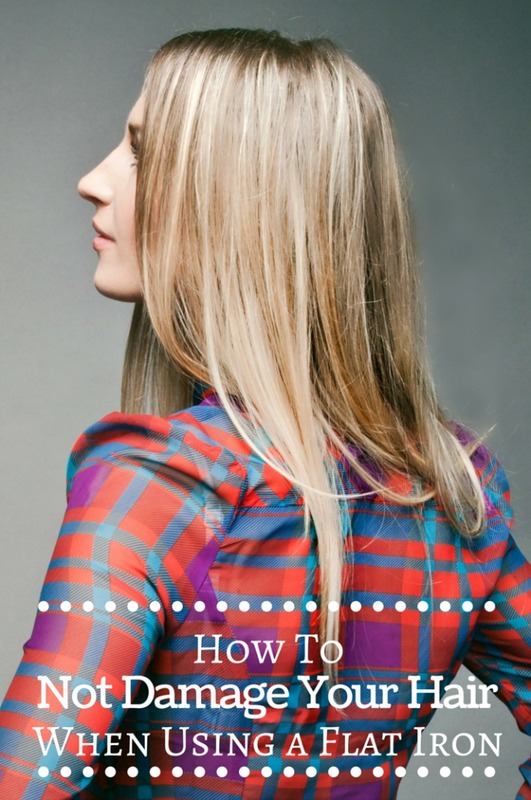 Do you know how difficult it is to find a hair straightener that doesn’t damage hair?! I’ll just tell you. It is impossible. Believe me, I spent hours prior to my most recent flat-iron purchase researching this. While it is impossible to heat style your hair with absolutely no consequences, a new flat-iron on the market will help you come pretty darn close to that. The Ferrum Professional Styler sports one tourmaline coated ceramic plate and one specially designed fabric plate to provide exceptional shine, dramatic volume and less damage than traditional flat-irons. The Ferrum Professional Styler uses a specially designed fabric plate that allows hair to “breathe” during styling, retaining valuable moisture in the follicle. The tourmaline coated ceramic plates create vibrant shine and lock moisture into the hair follicle. Ferrum sent me their new Ferrum ceramic flat iron to try. So here is what my hair looks like lightly blow-dried. It is fine, but thick. It is that annoying type of hair that is neither straight, no curly. It flips out in odd directions in odd places. Initially when I tried the Ferrum straightener I thought I had received a defective unit. Because my hair is fine, I generally straighten it at about 260°F. But when I plugged in and turned on my Ferrum flat-iron for the first time I set the heat dial (yes! I love that you can adjust the heat in 10° increments) to 260°. I waited the a couple minutes for it to heat (it heats up very quickly) and then ran the straightener through a small section of hair…Nothing. Did a second pass…slightly straighter, but still not what I expect from a good straightener. I decided to ramp up the temperature a bit to see if that worked. I set the temp to 300° and gave it another go. Success! Just as a note, there is absolutely no before or after product in my hair. Yes, I realize that it is best to put a heat protectant in your hair, but I hadn’t yet found one that I liked. I was a little concerned about using such a high heat on my fine hair, but I was assured because that, because the Ferrum flat-iron uses just one heated plate instead of two, it is safe to use at much higher temperatures than a traditional two plate flat-iron would be. I really liked that my hair wasn’t limp after I straightened it. It had nice natural body without me having to put any product in my hair. Using the Ferrum Professional Style to straighten my hair takes a bit longer than using a traditional flat-iron because I have to do smaller sections of hair at a time. 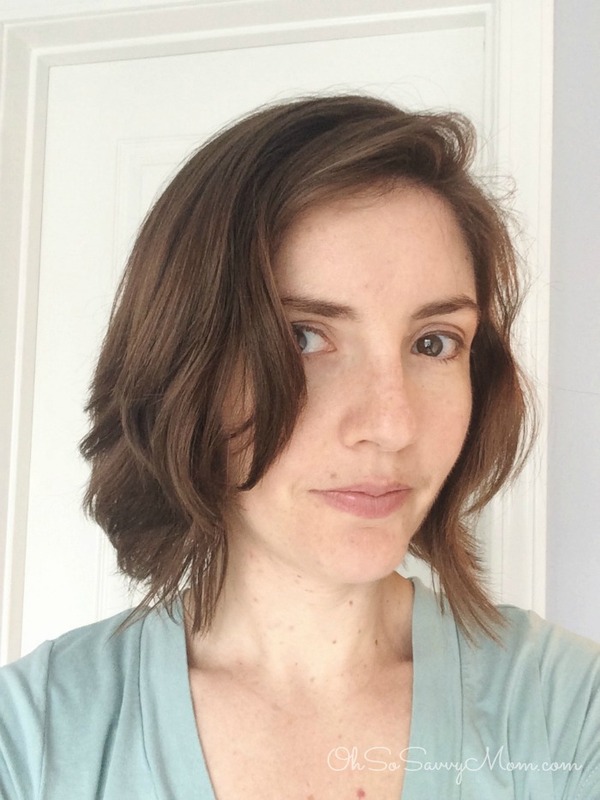 The first time I straightened my hair it took twice as long–I had to do two passes on each section of hair, but I expect that time to cut down when I up the heat. Next time I’m going to set the heat to 320° and see how that does. Invest in a good flat iron: A high-quality flat iron should last up to 10 years. Don’t be cheap about this purchase. Inexpensive and high-quality flat irons are difficult to come by. Make sure to purchase one that says “ceramic plates” or “titanium plates” if you have coarse or curly hair. This is where the Ferrum flat iron excels. 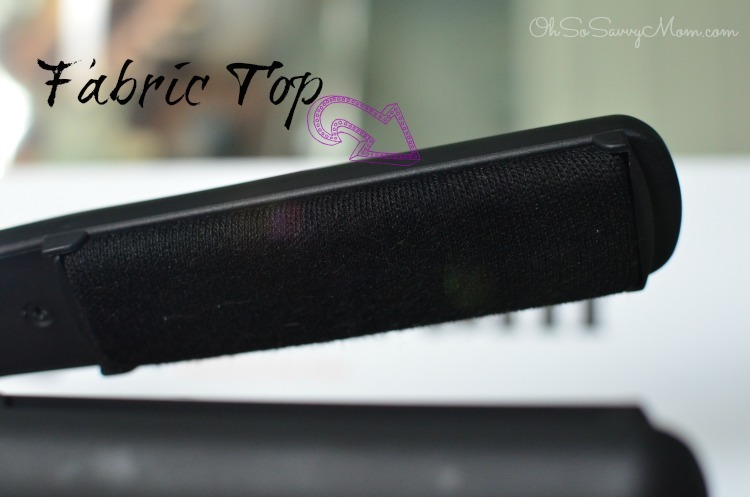 Not only does it have a tourmaline coated ceramic plate, but the fabric plate on the opposite side ensures that your hair will retain its oils the flat iron won’t fry your hair. Make sure your flat iron is set at the right temperature for your hair type: For fine hair this means 250-300°; medium/average hair: 300-350°, and thick or coarse 350-400°. Because the Ferrum Styler has only one heat plate it is safe to add about 50° onto the usual heat for your hair type. Use a heat protectant: Use pure argan oil (a tiny bit goes a long way) or look for a protectant with argan oil in it. Give your hair a day off: If you are a regular heat user, it is a good idea to give your hair the occasional break. Give your hair an apple cider vinegar rinse: Giving your hair an apple cider vinegar once a week will seal off the cuticle of the hair leaving your hair shinier and less prone to breakage. Do the ACV rinse in the shower after shampooing your hair. 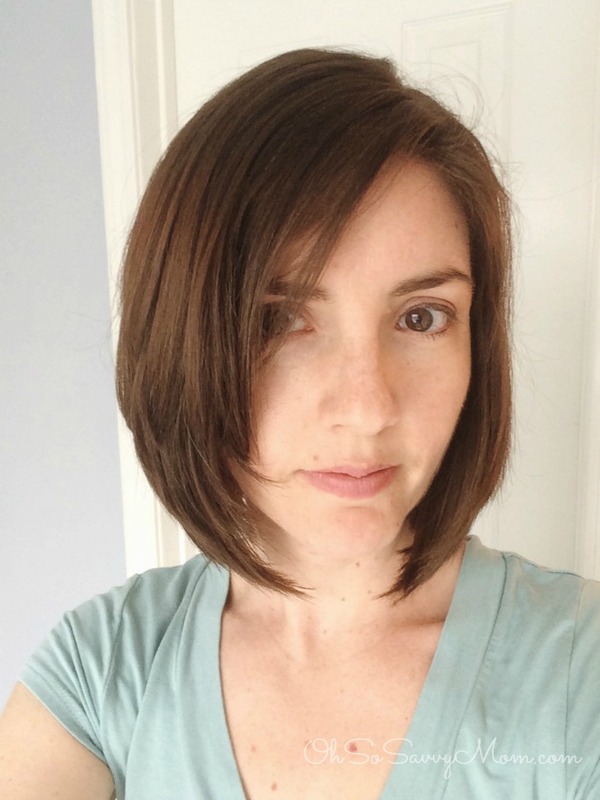 Check out this post for instructions on how do do an apple cider vinegar hair rinse. Learn more about the Ferrum Professional Styler flat iron at Ferrumiron.com. Ferrum Professional Styler Flat Iron Giveaway! 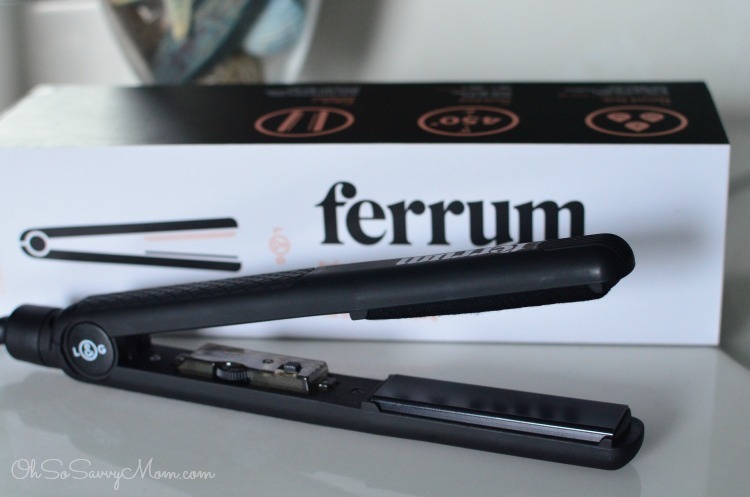 Ferrum is giving one Oh So Savvy Mom reader their own Ferrum flat iron valued at $145!